The Nova Scotia Securities Commission wants to reach out to business owners about new crowdfunding rules designed to protect investors but also make it easier for smaller companies to raise capital. The Nova Scotia Securities Commission introduced new regulations in May to address crowdfunding, which often involves raising money for projects and ventures from large numbers of people over the internet. The securities commission is hosting a public information session Oct. 15 at the Nova Scotia Community College in Truro to brief business owners about the new rules. Regulations now govern six different methods of crowdfunding. Two of the most popular methods are businesses that issue shares or promise to repay the money with interest, according to Abel Lazarus, senior securities analyst with the Nova Scotia Securities Commission. Businesses are only permitted to accept a maximum of $1,500 per person. There is a cap of $250,000 on each crowdfunding campaign and businesses are restricted to two per year. Each crowdfunding effort has 90 days to raise its specified amount. The rules, however, do not apply to crowdfunding that seeks donations for individuals or where money is provided in return for a purchase. Lazarus points to Brooklyn Warehouse, the popular Halifax restaurant, as an example. It launched two crowdfunding campaigns to raise money for improvements. "In return for people putting their money toward that they would get free meals, or their name up on the wall as recognition for providing money," Lazarus said. "That's the only expectation that people have." 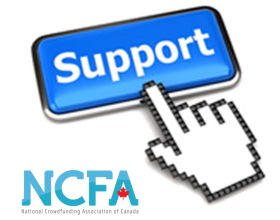 Crowdfunding is operated by either a registered dealer or a funding portal, which also must follow regulations. It holds all investments in trust and if the designated amount isn't raised, any money received will be returned to investors. It must also disclose possible risks. Two funding portals have been established in the province, but so far no companies have started crowdfunding since the rules took effect.